Dorm rooms come with little furniture, so there is barely anywhere to sit! You and your friends would have the option of sitting on the bed, the uncomfortable desk chair or, worst of all, on the cold, sometimes dirty floor. That is why you need to bring extra seating with you! Bringing seating that can be stored away when you don’t need it is ideal for keeping small dorm rooms de-cluttered. Our Overfilled Butterfly Chair is another super comfy chair that can be folded flat and stored under your bed or in your closet. The cover is overfilled to create a thick, comfy chair that may even replace your dorm desk chair as your desk seating of choice! 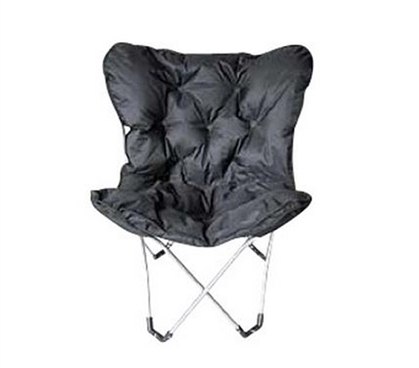 It is the perfect dorm chair to relax and watch TV or read a book in after class! While DormCo offers a variety of dorm chairs, the Papasan Dorm Sofa is one of our favorites. 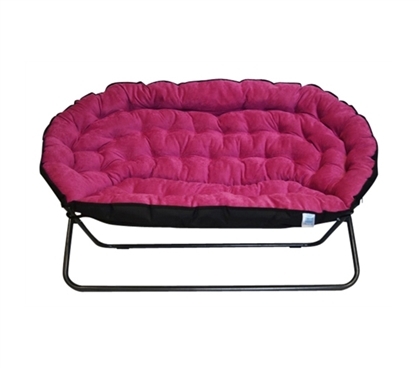 It features a soft microfiber material coupled with an extra-thick cushion for added comfort. The Papasan Dorm Sofa is the perfect size for dorm rooms, and folds flat so it can be stored under your bed or in your closet! You will love to come to your dorm room after class and take a nap in this super comfortable dorm room sofa! Living in such a small space can be difficult. A dorm is not just a place to sleep. It’s where you’ll hang out with friends, study, eat, watch movies and more. Extra seating makes a dorm room more functional and feel more like a home. Chairs or a sofa for your dorm are necessities for college life!